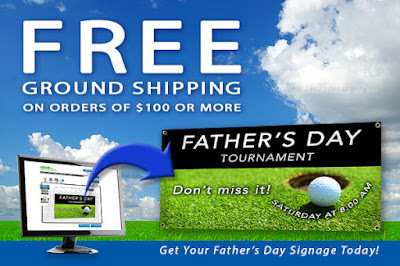 Now is the perfect time to stock up on your banners, signs, banner stands and decals! We're offering free ground shipping on all orders of $100 or more through June 4, 2016. For more information about the discount, and to get started on your order, please visit our website.